Reigning NFL Offensive Player of the Year Todd Gurley is making a pitch to become a rare non-quarterback to win the league’s MVP award this season. 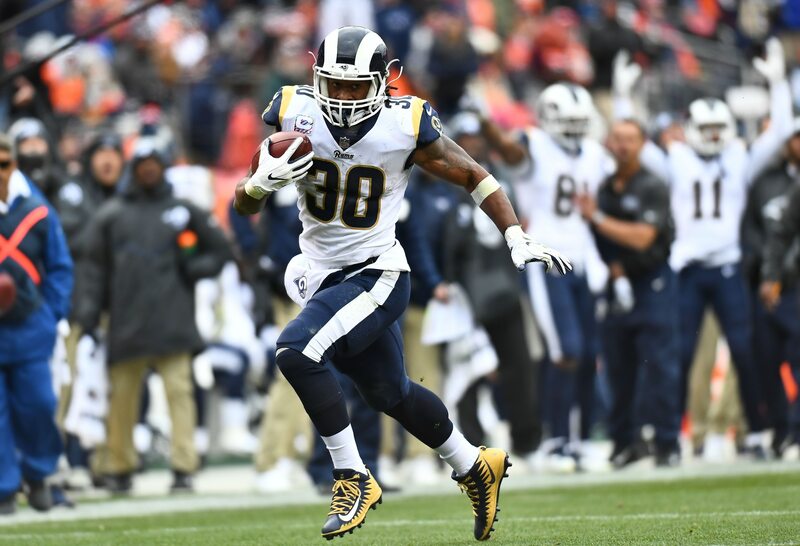 Showing himself to be the most-dynamic running back in the game, the Los Angeles Rams’ star has put up 870 total yards and 11 touchdowns in six games. This has him on pace for 2,320 yards and what would be an NFL record 29 touchdowns. Dating back to Week 14 of last season, Gurley has pretty much outpaced what entire offenses have down around the NFL. In fact, he has more touchdowns from scrimmage than nine teams during that span. Reminder, Gurley didn’t even suit up for Week 17 of last season. This is next level crazy right here. It also has the Rams as the only undefeated team in the NFL at 6-0 heading into Sunday’s game against the hapless San Francisco 49ers. Coming off a 208-yard performance against the Denver Broncos, there’s no reason to believe that Gurley won’t dominate a lesser 49ers defense. If so, he’ll add even more to his MVP candidacy heading into the midway point of the season.